an outdoor farm adventure for the whole family. 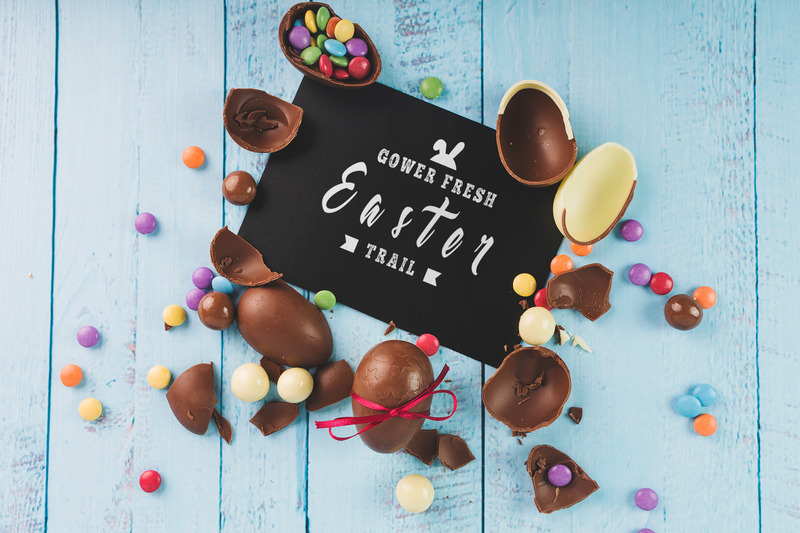 At Gower Fresh Christmas Trees we are happy to invite you this Easter for a week of incredible fun and celebrations for your children and the whole family. 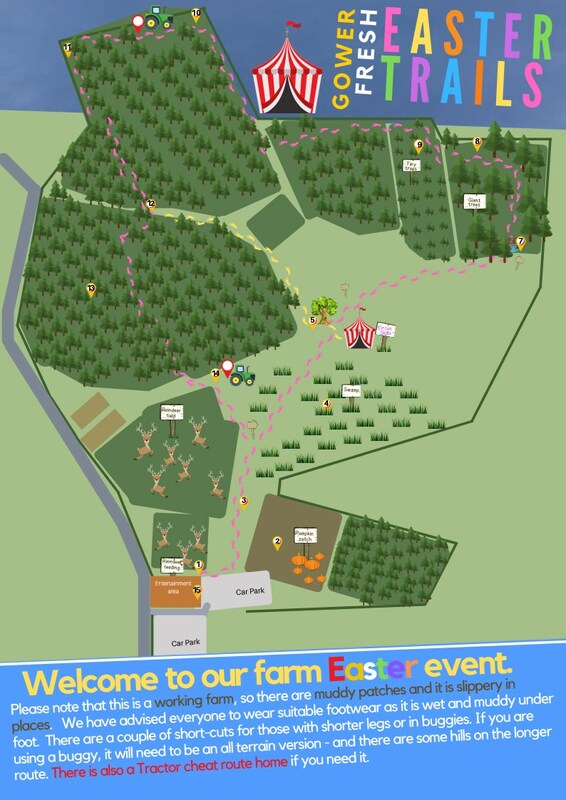 This year we open on April the 17th to the 21st, and we welcome you to our farm Easter event. We have prepared for you a wide range of activities and entertainment, many surprises and exciting explorations, amazing food and drinks, local produce, crafts and so much more. A 40 minute treasure hunt around the biggest Christmas tree farm in Wales. 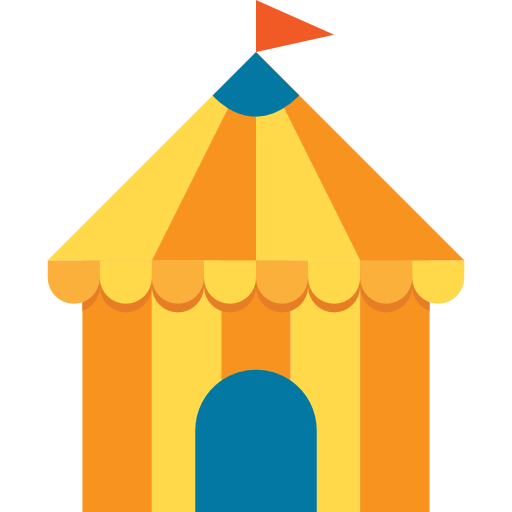 with a skills tutor on hand to show you the ropes, juggling balls, and spinning plates! Lots of cute farm animals, bottle-fed lambs, Reindeer, rabbits and chicks. 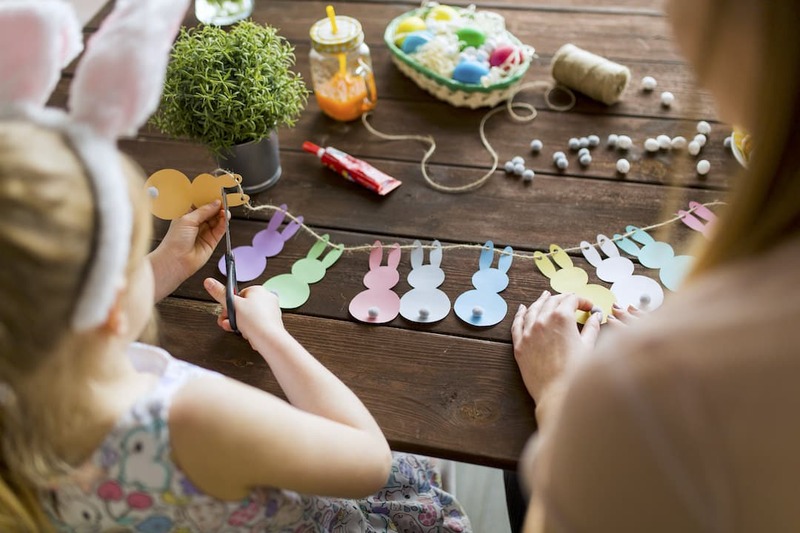 a big craft area with lots of fun activities, creativity, face painting, etc. Amazing food by local providers and plenty of tee, coffee, cold drinks, etc. Tractor & trailer rides from the highest point on the farm back to base. Buy your tickets with our very easy and secure booking system. Just few clicks and you are done. 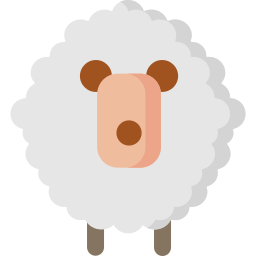 Choose the type of ticket you want, child or adult, and choose the date and the time slot that’s best for you. 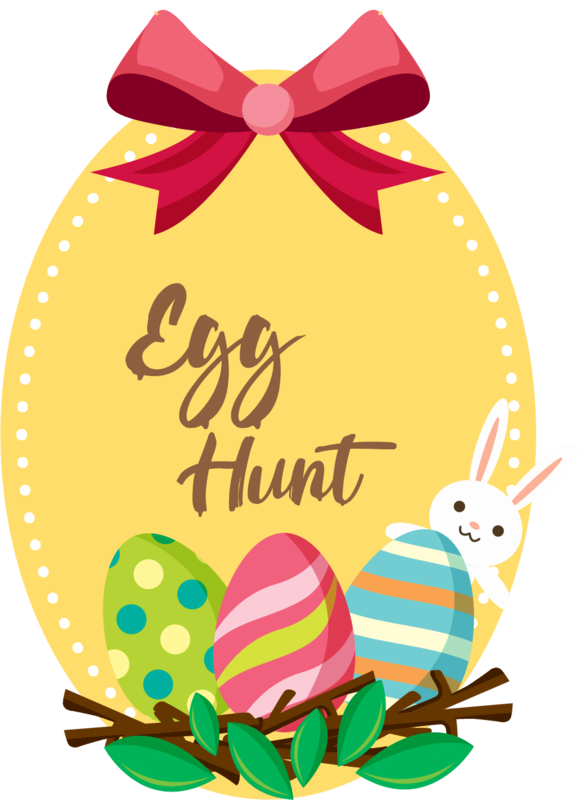 At arrival each child is given a game card with a map of the farm, as well as a list of clues, to hunt around the farm and earn their Easter Egg reward. 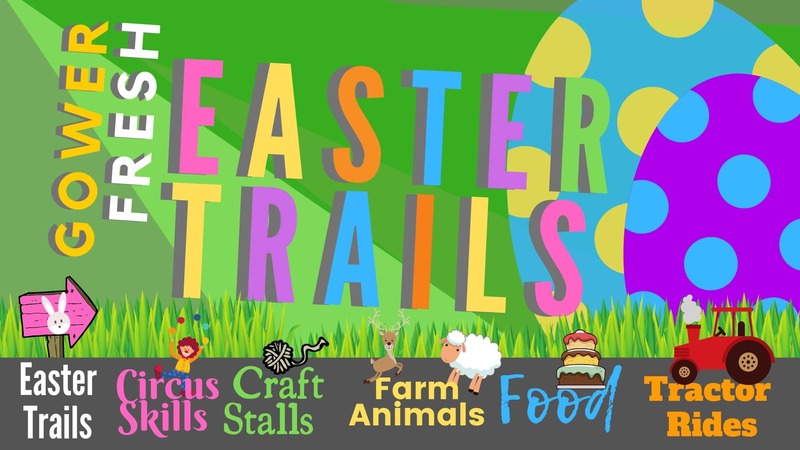 On the way round, however, you will find farm animals, Rob’s Reindeer herd, and a Circus Skills Tent, where you can brush-up on upper juggling, plate spinning and a host of other activities, as well as interactive craft stalls, food and drink tents and more! 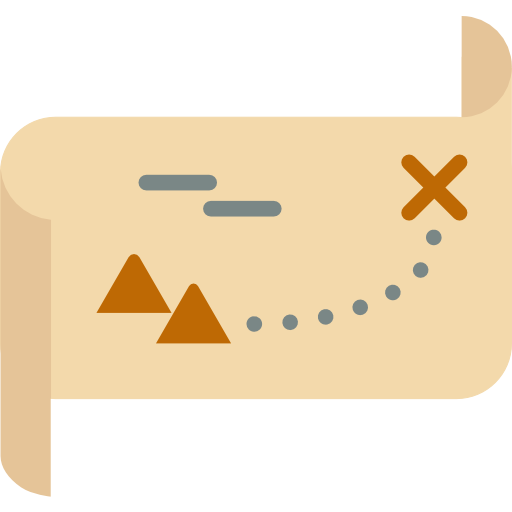 The trails are age-graded, with older children having to work a bit harder than younger ones to earn their chocolate prizes. There are also short-cuts for those pushing buggies, and tractor & trailer rides for weary legs. Our craft area contains local producers with many set up to allow customers to get hands-on. We will have face painters, and food providers on hand (under cover) too. There are even a dodgems for those still looking for more fun after tracking round the farm. The Easter Bunny has promised to call in every day too – you may even get to see Dave the Dog, although his daily routine is very much down to him. It’s a working Christmas Tree Farm, so dress for the prevailing conditions. Wellington boots are recommended – new, expensive, white training or sports shoes are not advised. Grab your coat and wellies, and all will be well. 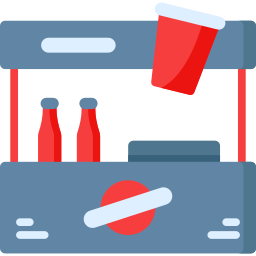 We have hot and cold food, warm drinks & ice-cream, all undercover, and the circus tent on the trail route will have facilities too. There are sessions from 10am to 5pm daily. We would suggest you need to arrive 10 minutes or so ahead of your session time, but don’t worry if you are running late, session times are just to prevent over crowing. You are not going to be denied entry if you arrive a little late. Will I get to see Dave the Dog? Dave is on site most days, but he keeps his own hours… so, who knows. Can we feed the Reindeer? Is there an Easter Shop? Yes, our Christmas shop is getting an easter make-over. Will I see the Easter Bunny? We really hope you do – he’s promised to call in every day. Can I swap my ticket? Tickets are transferable to different days of the event, subject to availability, and a further booking fee, but key dates like Good Friday (19th) will sell out fast. Please, contact us directly if you are unable to attend, we will always do our best to help, however tickets are not refundable. 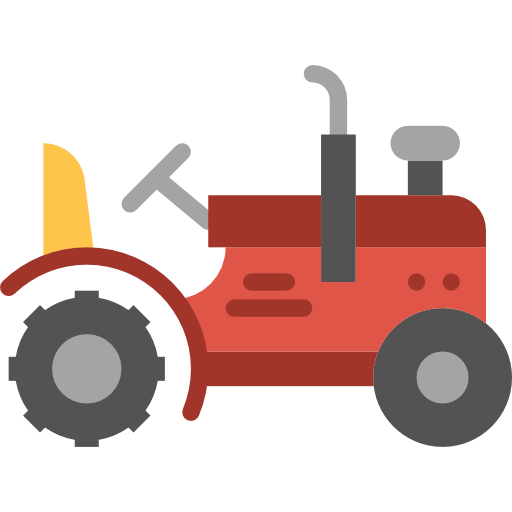 How to find my way around the farm? 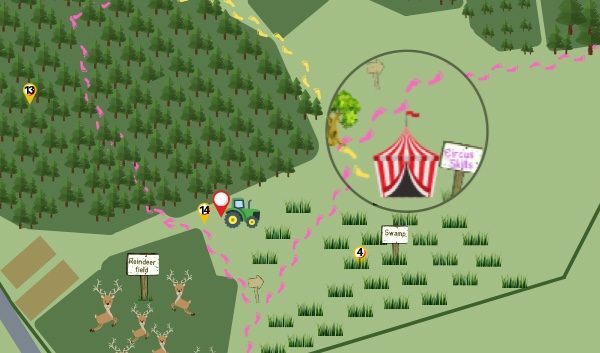 To help you with your navigations skills we have put together a map of the farm with all the stops and stations, trails, attractions, car park and other important information.